This is the month for major for shopping and spending. It’s time to bring out my credit card and swipe, swipe, swipe… Look nowdays I try to cut down the number of credit cards that I have in my purse. I just use the card that gives me the most benefits and conveniences. Well, this will help me to keep track and control my spending and the same time reduce the unnecessary stuff that I had in my purse. 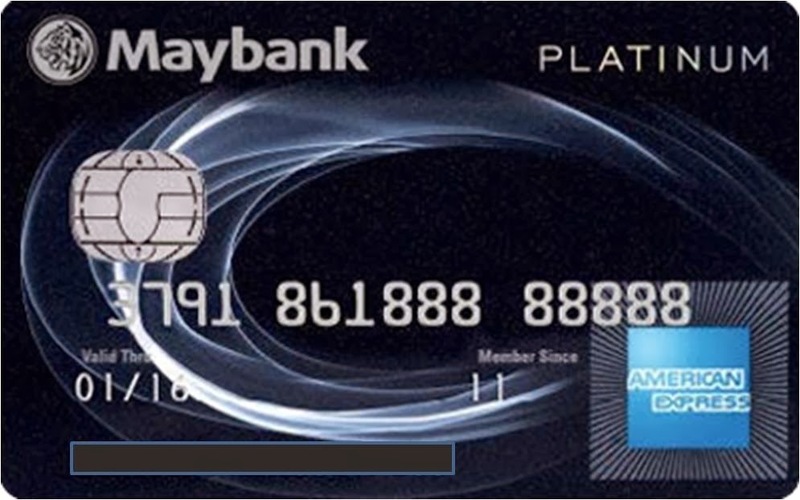 I started using Maybank 2 Cards – American Express and Visa Platinum credit card since 2012. 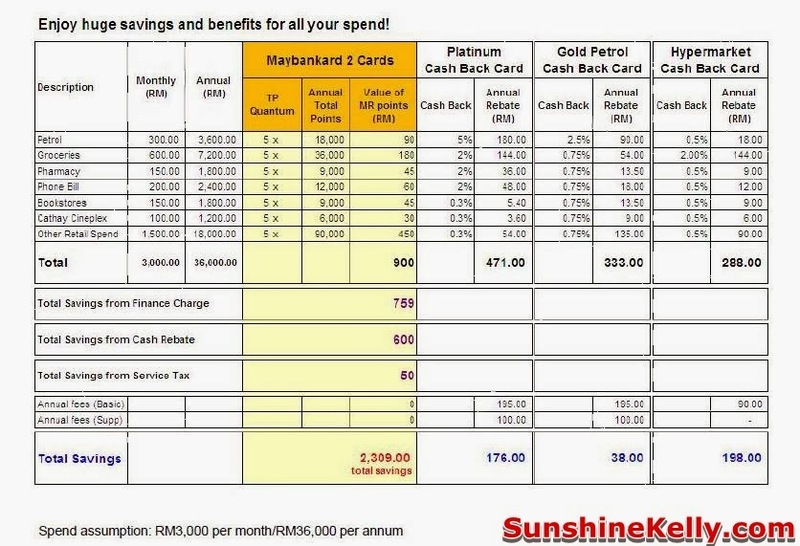 For both cards, Maybank 2 Cards American Express and Visa Platinum all I need is just one sign up, one service tax and I will only receive one statement every month.Minimum annual income of RM30,000 for Maybank 2 Gold Card and RM60,000 for Maybank 2 Platinum Card. Ever since then, these two cards became my favourite. 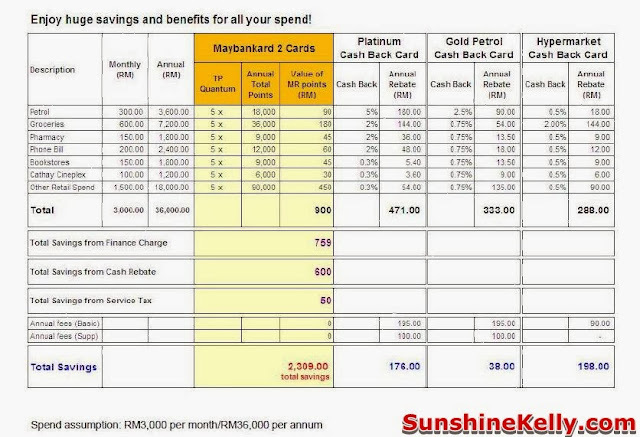 It is so convenient I can also view my credit cards statement and make payment online via Maybank2U. Everything is just a few clicks away and secured. Every year without fail I will go to Maybank Treats Fair to redeem all my Treats Points because I get better deals, extra treats points when I spend there and can redeem the item that I want on the spot. I try to use Maybank American Express whenever I can and also when I travel because it gives 5x Treats Points for all spending, so far this is the highest points compared to all my credit cards. As for my Maybank Visa Platnium is 2x TreatsPoints for every RM1 spend. My spending tips: as a smart and wise consumer I don’t usually do impulse purchase or buy stuff that I don’t need or use and regret later. Money is hard to earn but easy to spend. It’s my hard earned money there is a lot of temptation soI have to be careful with my spending. Sometime I do allowed myself to have a little treats and pampering, it’s ok right. With Maybank 2 Cards I enjoy a lot of privileges like discounts, buy 1 free 1 and free gifts. There are many dining promotions using Maybank American Express for example I like to the 50% discount on food and beverages at The Saujana Hotel KL. Other than that, I usually shop during sale or shop online. Being a blogger I drive around town to attend events quite often so you can imagine my petrol bills. Hah! I use Maybank American Express at the petrol stations. I usually pump petrol full tank after my groceries shopping during the weekend. Because I get 5% Weekend cash back maximum up to RM50 per month when spend on Maybank American Express Card. Yuhuu! more saving and I love it! 5x TreatsPoints and 5% weekend cash back is exclusive to Maybank American Express Cards only. 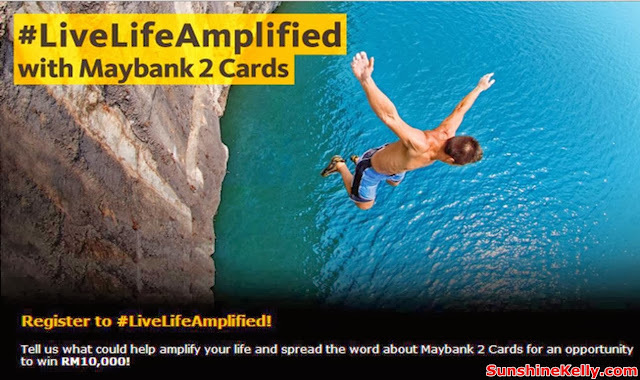 Enjoy huge savings and benefits using Maybank 2 Cards compared to other credit cards. My Maybank 2 Platinum Visa Card became quite handy when it come to online shopping and purchase flight ticket online. Not only that, I also entitled for Travel Insurance Coverage when I charged my flights to the card. I can enjoy complimentary Accidental Death and Disablement coverage of up to RM1,000,000, as well as Travel Inconvenience coverage for missed connections, luggage delay and luggage loss. Yes! Now you I can #LiveLifeAmplified with Maybank 2 Cards, it gives me a lot of conveniences, TreatsPoints, great deals, savings and many more. You too can get that and do that too. There are more to gain and nothing to lose. As a blogger, every day we #LiveLifeAmplified and strive to share information that we have, the experiences that we go through, the people or things that inspires us with our readers and followers. I hope that share more so that we can gain more, learn from each other and grow. As for me my wish is epic! I want to appear on Oprah Winfrey show #LiveLifeAmplified. I have submitted mine and I am in the rally to win the RM10,000. 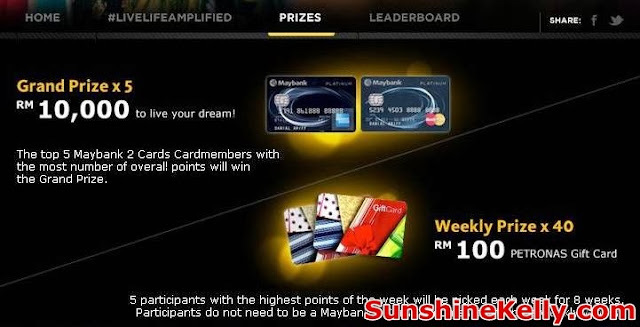 Maybank 2 cards are indeed the great choice out of all credit cards available in Malaysia. 5% cashback + 5X Treatspoints on everything on weekends. Nice card! *Just to consider the drawback of limited places that accept amex.